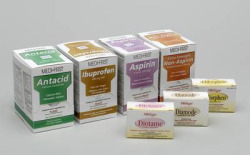 Medi-First® Non Aspirin (Acetaminophen tablets) Compares to Tylenol. Gentle on the stomach. 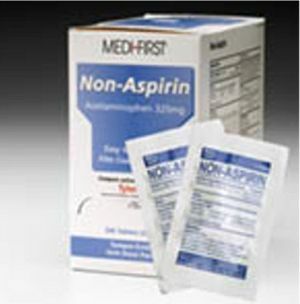 Non-Aspirin relieves headaches, muscular aches, pains and fever. Aspirin-Free. Active ingredient: Acetaminophen 325 mg.
To offer the freshest stock, please allow 7 business days before shipping.